Tuition is calculated based upon a structure of approximately 33 classes PER YEAR multiplied by the national per class tuition average. The total YEARLY FEE of dance class is then divided into ten payments corresponding to a ten month session [September - June] for the convenience of our patrons. Registration is not considered complete until registration fee, first month's tuition, fees due and owing according to the draft schedule, registration form (either online or paper format), and waiver are submitted online or in person to the office. Accounts and customer portals are limited to siblings and/or immediate family members of the same household only. Extended family members must register separately. 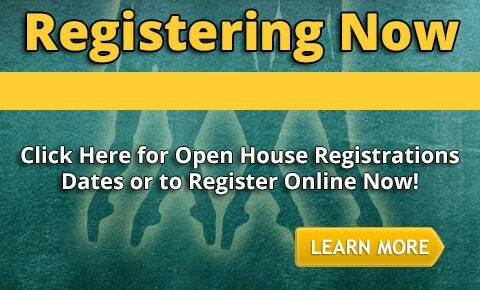 Anyone registering for classes will receive an online customer portal. It is the sole responsibility of the registered student/parent/guardian to keep personal information current and updated through the customer portal or by contacting the office. Should Elite Dance deem a class too big or too small, Elite Dance reserves the right to transfer students into comparable classes. Students registered on a non recital basis will be charged registration and tuition fees according to the draft schedule. Students registered on a non recital basis attending class in June will be charged full June tuition. The primary communication method between Elite Dance and it's clientele is email. Elite Dance Academy LLC and Elite Dance of Slidell LLC are bonded, licensed and insured. Information concerning the bond may be obtained by writing to the office of the state treasurer. Dancers must be on time, dressed in proper attire, and remain in the waiting area until class begins. To participate in recital class dances, students are required to learn recital class dance choreography in its entirety. Students who do not learn choreography in its entirety may be sent off stage for unknown parts. Parents should notify the teacher and the office should they not be on the premises. No dangling jewelry allowed in class. No smoking, eating, drinking or gum chewing allowed in the dance rooms. Running, hanging on barres or otherwise misuse of equipment is prohibited. Elite Dance reserves the right to reschedule or cancel a class or classes with little or no notice. Elite Dance reserves the right to refuse service to anyone for any reason. Elite Dance is not responsible for lost, stolen or damaged items. Additionally, any items left in the studio will be placed in the lost and found. At the end of each month, unclaimed items will be discarded or donated to Goodwill. ALL INFORMATION REGARDING ELITE DANCE, INCLUDING BUT NOT LIMITED TO ITS LITERATURE, FEES, POLICIES, PROCEDURES, WEBSITE, CLASSES, COSTUMING, ATTIRE, COMPETITIONS, CONVENTIONS, COMPETITION GUIDELINES, TEACHERS, REHEARSALS, PICTURES, AND RECITALS ARE SUBJECT TO CHANGE WITHOUT NOTICE. ANY PERTINENT CHANGES WILL BE MADE AVAILABLE IN A TIMELY MANNER VIA EMAIL ADDRESSES ON FILE, ELITE DANCE MONTHLY NEWSLETTERS, AND THE ELITE DANCE WEBSITE.